A Yogic Science Technique that gives you limitless energy, expanded mind and inner peace. Dr. Levry the founder of Shakti Naam, started his spiritual journeys in India. They led him to Yogi Shri Bal Mukund Singh Ji, who privately passed on to him a secret and ancient yoga practice, Sukshma Vyayama, hardly known to the Western world. This tradition became the basis of another form of Naam Yoga called Shakti Naam Yoga. This little known form of yoga has its roots in the Himalayas. Two leaders of the Indian government, Indira Ghandi and Pandit Jawahar Lal Nehru, privately used this form of yoga, and endorsed it to the general public, for its capacity to bolster health, counter aging and increase resilience. Shakti Naam addresses the stresses and fast-paced living of modern times. It focuses on deep breathing and stretching within yoga asanas, opening the meridians, stimulating the internal organs, expanding lung capacity, stretching the subtle body, and healing the mind. The roots of Shakti Naam Yoga are derived from a combination of a rarely known form of yoga from the Himalayas, Universal Kabbalah and Naam. 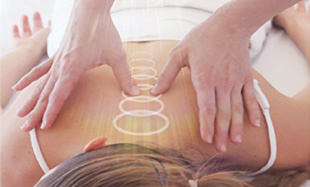 Its knowledge base also includes Eastern Oriental knowledge of the body’s meridian system. These once secret teachings offer a “fountain of youth,” by working through the subtle body that sustains the physical body to restore youth and flexibility to body, mind and spirit. Wednesday’s - 12 p.m. - 1 p.m.
Sundays - 10:30 a.m. - 11:30 a.m.